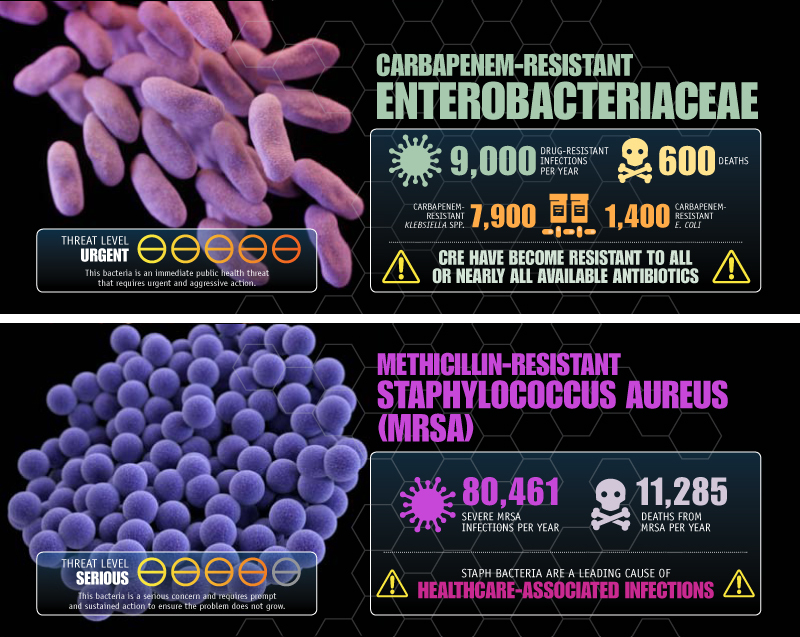 They may be invisible to the naked eye and their names may be hard to pronounce, but antimicrobial resistant bacteria – bacteria that don’t respond to common antibiotics – pose a serious threat to the public’s health that is impossible to ignore. Until recently, antimicrobial resistance was seen as a problem to be addressed at the patient or healthcare facility level where the impact on the lives of people was immediately visible. Testing, responding to and controlling antimicrobial resistant pathogens was not often seen as something that fell under the purview of public health. But that’s finally changing. I began my career as a clinical microbiologist. My first job was the lead micro technologist in a small hospital laboratory in a rural area at a time when hospital acquired MRSA – or “nosocomial MRSA” –rates had doubled. I still think about a specific case, an eight-month old baby girl who was a patient in the ER. I drew her blood myself, brought it to the lab and immediately inoculated it into blood culture bottles. A few days later, I was the person to isolate and identify MRSA in her sample. Several weeks after she had been transferred to a hospital with more advanced pediatric care, I saw her obituary in the paper. The hospital was able to work with the other facilities to implement infection control strategies to control (but not eliminate) the problem. This was possible because our small community allowed for open communication between healthcare facilities and meant that all testing was occurring in a single microbiology laboratory. Coordination of this sort of response and control effort would be much more difficult in a more populous area without external monitoring and assistance. This is where public health can and should play a vital role. When I transitioned into a career in public health and joined the staff at APHL, I was surprised to learn that public health laboratories play a very limited role in antimicrobial susceptibility testing for what (to me) was and is clearly a public health problem. That is finally going to change. In the coming year, public health laboratories will play a critical role in the Obama administration’s National Action Plan to Combat Antimicrobial Resistance. One of the initial roles for public health labs was announced by CDC last week: the launch of the Antimicrobial Resistance Laboratory Network (ARLN). 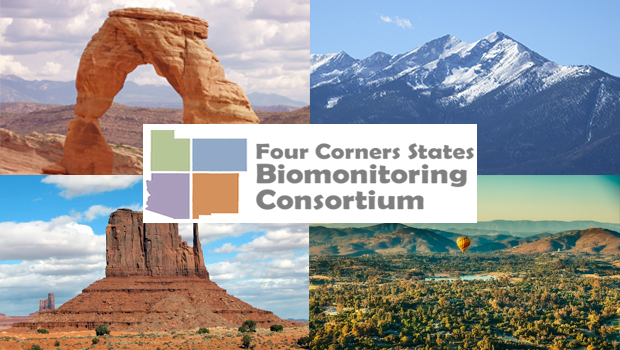 Seven public health laboratories have been chosen to provide testing in support of a national surveillance system that will monitor and respond to drug resistance throughout the country. 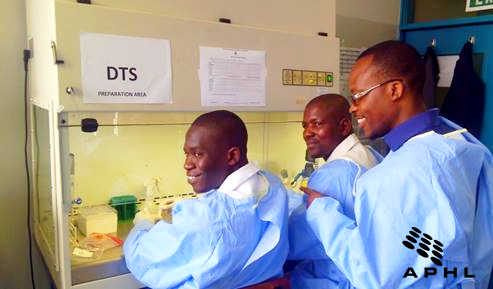 This fall the chosen laboratories will receive training and begin implementing highly specialized tests that will allow them to respond to outbreaks, characterize and track different mechanisms of resistance, and to detect new kinds of resistance in the pathogens that most concern public health officials. 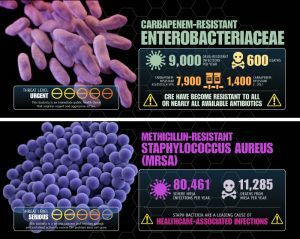 All 50 state labs, DC and several large local labs will also be implementing testing to confirm and characterize carbapenem-resistant Enterobacteriaceae (CRE), which has been described as one of the most urgent threats to public health. While no one will ever know if the ARLN or other new public health measures would have prevented that baby girl from contracting and succumbing to MRSA, I am optimistic that the network represents a significant step forward. Top photo: This 2014 image depicts a Centers for Disease Control (CDC) microbiologist holding up two Petri dish culture plates growing bacteria in the presence of discs containing various antibiotics. The isolate on the left plate is susceptible to the antibiotics on the discs and is therefore unable to grow adjacent to the discs. 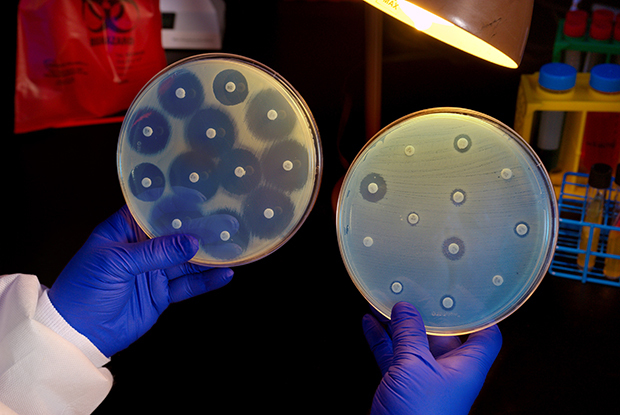 The plate on the right was inoculated with a carbapenem-resistant Enterobacteriaceae (CRE) bacterium that proved to be resistant to all of the antibiotics tested and is therefore able to grow near the discs.